Things are starting to get a little bit busy. And little is a severe understatement. This week has been full of meeting, appointments, trying to stay on top of house chores and more… Not to mention the official start to winter sports season, so I’m away from home more often than not. It’s that time of year where I tend to forget what my husband and dog look like because we both leave for work at 6 a.m. or earlier, and I come home around 3 p.m., just long enough to grab some food, my camera gear and zip off to whatever basketball/ice hockey/wrestling/cheerleading/ski/etc… event it is I’m covering – only to get home by 8 p.m. if I’m lucky. It’s because of the crazy schedule, I’m a week late in posting my Thanksgiving Foodie Friday post. 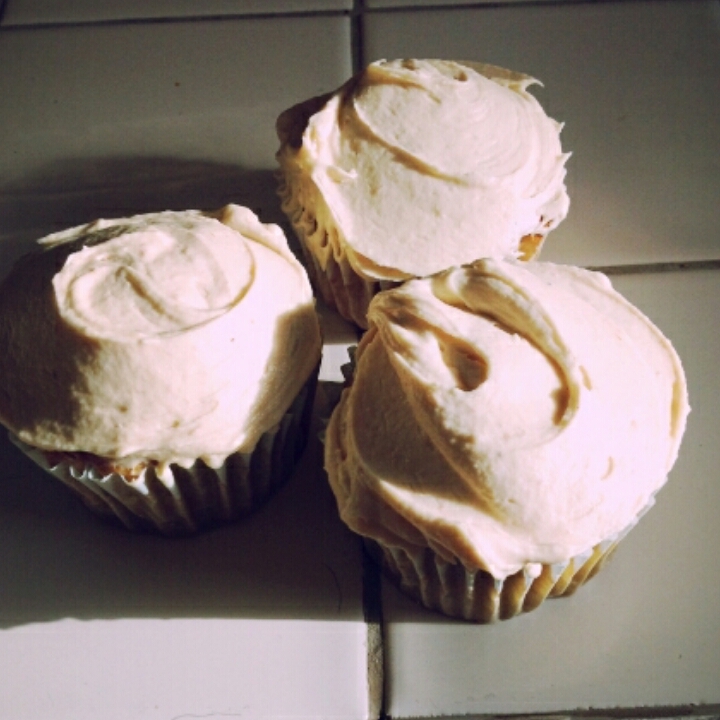 And I’m not going to lie: I can’t tell you how the frosting tastes because I haven’t tried it. I do know the actual cupcake was pretty dang good. I can say this though, my entire house smelled amazing while I was baking everything. Word of advice? If you plan on spooning or knifing the frosting on? Cut the frosting recipe in half. You’ll have SO much waste if you don’t. If you plan on piping it on, then stick with what’s in the recipe. 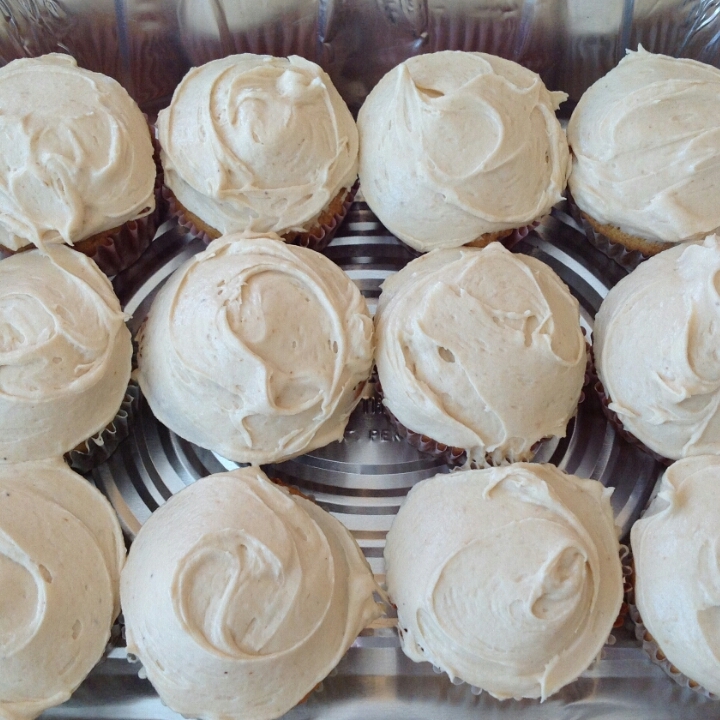 Another thing… I doubled the apple butter and caramel in the frosting recipe. I taste tested it after everything was all mixed and it was way too tart for my likes, and given I’m no longer a big sweets person (except for on Sundays at my parents for dinner. I blame my mother, it’s all her fault for making too many yummy things), that speaks volumes. Preheat oven to 350 degrees F. Line 2 muffin pans with paper baking liners or spray pans with nonstick spray. In a large mixing bowl mix together cake mix, cider, eggs, and ½ cup apple butter with electric mixer on medium speed for 2 minutes. Spoon batter evenly into prepared pans so that each cup is about ⅔ full. WW: Double Lift Weights Faster.